Anyone know if BL plan on releasing novels for all the Primarchs in the HH Primarchs Series? I'm pretty sure that's their intention, Aristedes. That I know of, we've got Jaghatai Khan coming in April, and as of late November, David Annandale was finishing off the last passages of Vulkan. I think the real question is whether there will be 18, 20, or 21 specific novels! Xisor wrote: I think the real question is whether there will be 18, 20, or 21 specific novels! Eighteen for definite, possibly nineteen if Omegon gets his own novel. I doubt there'll be anything for the Missing and the Lost. I hope there wont be anything about them tbh. Btw,i just noticed that they re-added the ability to wishlist stuff on the BL site. Fenris wrote: I hope there wont be anything about them tbh. 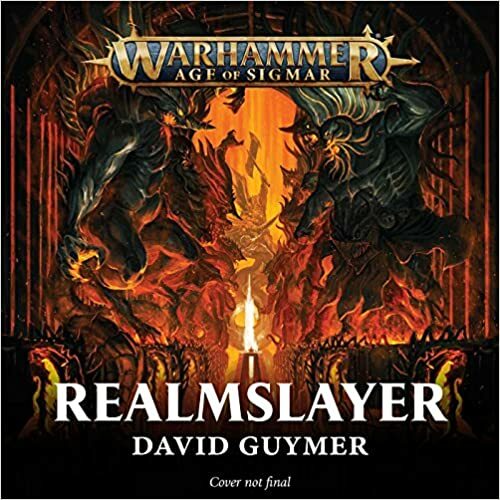 Fabled hero of the Warhammer Old World, Gotrek Gurnisson is reborn and cast into the Age of Sigmar for a brand-new, feature-length audio adventure. Gotrek Gurnisson was the greatest monster slayer of the age, who met his doom at the End Times. The heroic duardin stepped forth into the Realm of Chaos to fight the daemons gnawing at the world's ending and satisfy his death oath, leaving behind his companion Felix Jaeger. Now Gotrek has returned, having outlived the old gods and the Old World. Spat from the ruinous depths with his redemption unfulfilled, he emerges into the Mortal Realms, a strange new world where gods walk the earth and dark forces are ascendant. Nothing is as he remembers. His oaths are dust, and the lands are torn asunder by Chaos. Yet when Gotrek learns of human champions being elevated to immortality for Sigmar’s fight against this darkness, the so-called 'Stormcast Eternals', he knows why fate has brought him into this new age. To find Felix. For only then can he find the peace in death he seeks. But is there more to Gotrek's apotheosis than even he can fathom? Has he truly been chosen by Grimnir and for what purpose? 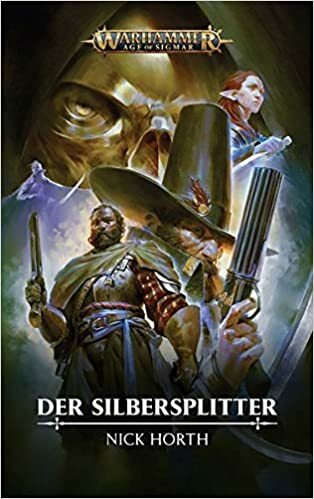 This audio drama boxed set contains a four-part story read by a stellar cast, recounting the much anticipated return of Gotrek Gurnisson. So Black Library Live 2018 is June 16th and tickets go on sale Saturday. Can't wait! Warhammer 40,000, Warhammer Age of Sigmar, Warhammer Chronicles and Necromunda, from authors old and new. I got the impression it might be two that hasn't been published in print before - e.g. the two that went hand in hand with his Strigoi ToL novels, but I'd be very chuffed if they were newly commissioned! Also: it's very exciting, more generally! I too am under the impression it isn't new stuff. Also don't forget that BL are currently reprinting a lot of the old Warhammer stuff under this Chronicles banner. But who knows, guess we'll wait an see and if I remember correctly Josh has previously said that some of what he has written never ended up being published. Some of what he's written is daft nonsense though. This popped up on Amazon.Seems to be the sequel to City of secrets,so most likely a buy from me. I would say that is a pretty exciting line up for HH and indicates that the Siege of Terra is likely to be the whole of 2019. Wow!!!! Finished Dark Imperium by Guy Haley. I must say 10/10 that’s three in a row to Guy “the Machine” Haley from Dante to Devastation of Baal and now Dark Imperium all three perfection personified. This one had everything. A plethora of Space Marine Chapters, Sisters Of Silence, Adeptus Custodes. Loved all the Daemons and especially Mortarion. Perusing the internet I noticed many forthcoming Guy Haley novels. For HH Wolfsbane, Beta Garmon, Corax for Primarch series and a Dark Imperium II. Now back to the Horus Heresy and Reading Angels Of Caliban by Gav Thorpe.